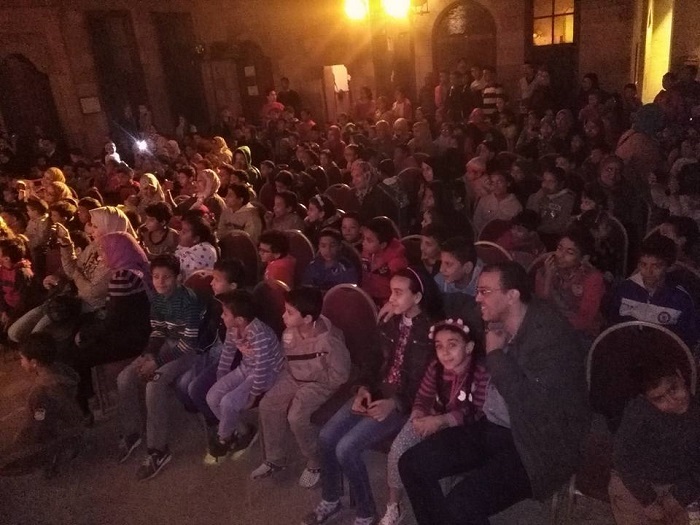 In the courtyard of a medieval Cairo house, a young audience have gathered in anticipation of a weekly puppet show, showing the same passion their ancestors must have felt in the thirteenth century, when this art came to Egypt. 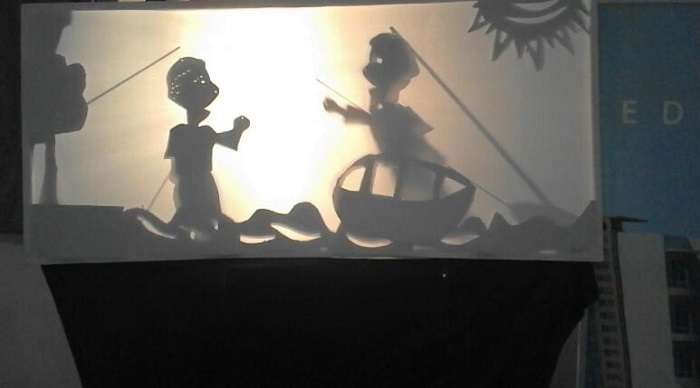 The puppets, handmade from leather and cardboard, let their shadows fall on the white screen, and the magic begins. Tales of folk heroes from long ago are spun in the heart of Islamic Cairo, just as they had been centuries before. 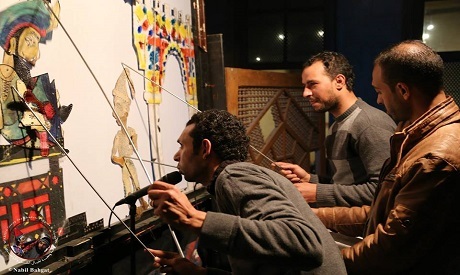 The Wamda troupe were established in 2004 by university professor of theatre Nabil Bahgat, whose fascination with Egyptian folk arts led him to document, revive and renovate shadow puppets and aragouz, a traditional Egyptian puppet character. 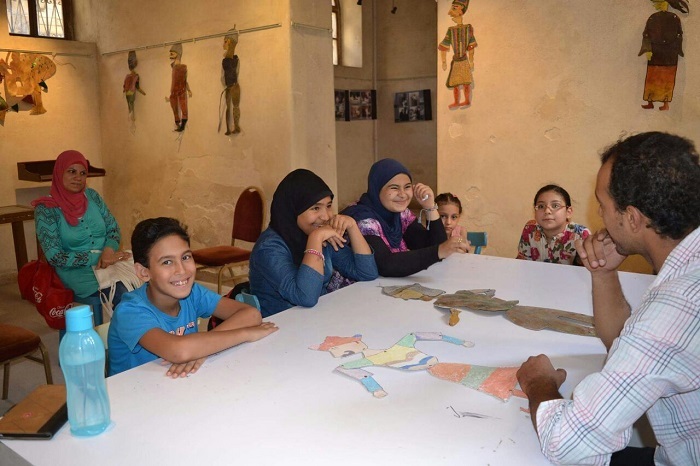 Under the umbrella of the Egyptian Ministry of Culture, Wamda was granted a permanent residence in El-Sehaymi house in medieval Cairo, where they now put on a free weekly puppet show featuring both shadow puppets and aragouz, alongside a permanent exhibition on Egyptian folk dolls at the same premises. “We worked with Egypt’s last shadow puppeteer Hassan Khanoufa and learnt a lot from him,” explained Ali Abu-Zeid, Wamda manager and performer. Abu-Zeid, who was originally a student of Bahgat and who joined Wamda at the very beginning, explained that he truly believes in Bahgat’s motto, “we have our own means to express ourselves,” referring to folk culture. “We believed in this idea and it created a real opportunity for us because over time we became the only troupe that shows shadow puppets and aragouz in the same performance,” he said. Shadow puppets and aragouz are a couple of our enchanting folk arts, and were quite popular during the Mamluk era. According to a book on the topic issued by the culture ministry in 1961, shadow puppets was first established in India, and the art reached Egypt via Shams Ibn Daniel Al-Mawsely, who came to Egypt in 608 AH/ 1208 AD. He studied medicine and owned a little shop where he cured eye ailments, but as well as this, he was a satirist who excelled in creating characters and stories that documented the status quo in poetic form. His witty “babat” (sketches) were passed from one generation to the next, until they reach us today through Wamda. Wamda has repurposed these ancient sketches, adding modern twists and removing elements of violence or discrimination. 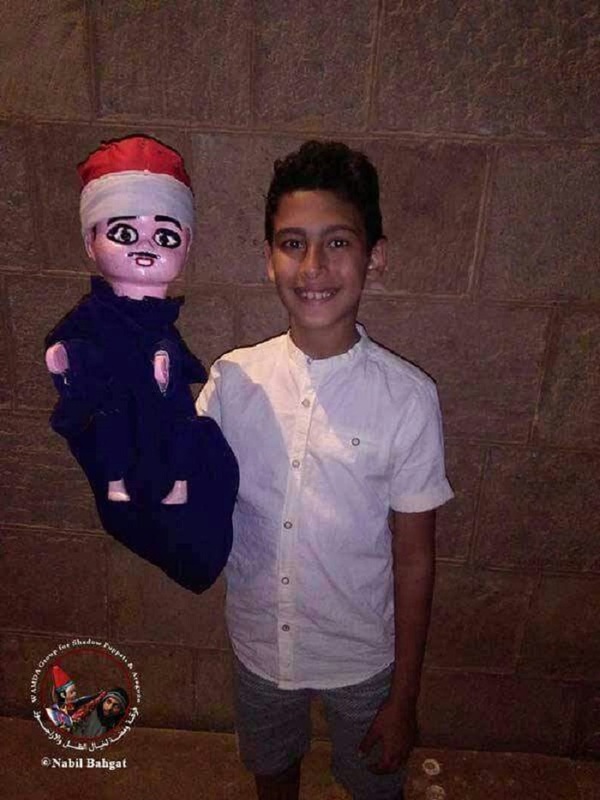 As well as their weekly performance, Wamda also hosts a workshop every week for children between 9 and 18 to learn how to make the different puppets and create their own stories. Ten-year-old Seif Ali has attended the workshops every single Friday for a year and counting. He has his own shadow and aragouz puppets and creates his own show at home. “I love working with shadow puppets; it gives me great happiness. 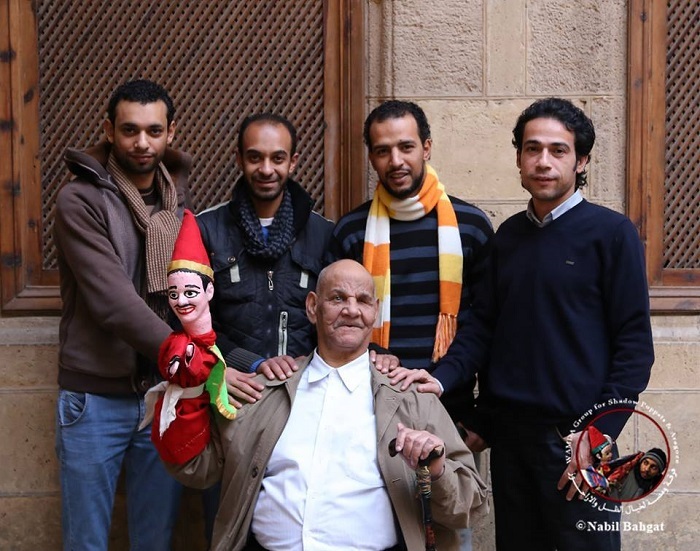 They are our heritage and I do not want them to perish, they are all that is left of Hassan Khanoufa,” he told Ahram Online. Ali explained that his favorite babat is that of the fisherman who is pursued by a crocodile. Sixteen-year-old Hagar Kadry has been a dedicated audience member of Wamda for the past six years. Not only does Kadry have her own set of shadow puppets now, she even performs shows for children during Egypt’s annual orphan day. “Our aim was to create a generation that is closely connected to these folk culture examples, that is influenced by it rather than by modern, violent superheroes in popular culture,” said Abu-Zeid. “This form of art depends to a great deal on improvisations. I remember Dr. Nabil, when writing the script for us to memorise, would leave a big space in the paper, and when he asked, he told us this is the space for your own improvisation depending upon the audience,” he explained. Wamda performs every Friday at 6:30pm at El-Sehaymi house in Khan El-Khalili, medieval Cairo. 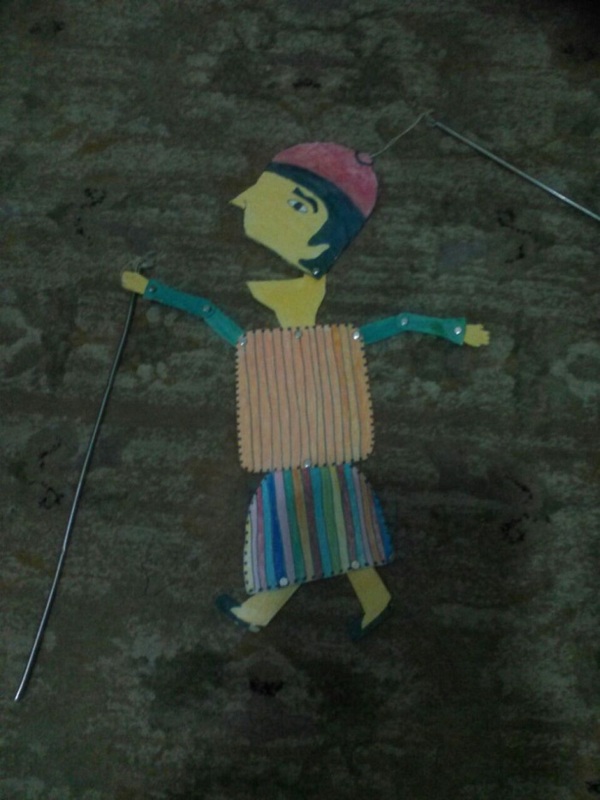 Puppet-making workshops are held on Fridays at 3pm.